1984 900 S2...or isn't it? 1984 900 S2...or isn't it? Crikey after reading some of the differences between these bikes, am I right. First registered in Kelson, New Zealand in early 1984. 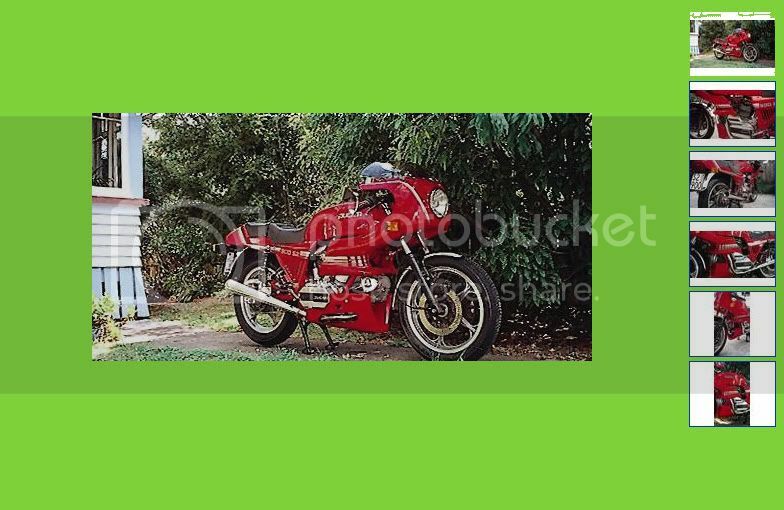 Papers say 1984 Ducati 900 S2. The frame is black but may have been painted, has red only stripes and logos on sidecovers like red, yellow, orange ones. Pretty straight except fairing missing and front indicators. Sounds great, new, first time Ducati owner/rider hooked!! Last edited by canterburyman on Tue Jul 28, 2009 1:41 am, edited 1 time in total. got any pictures of it ? Actually cant see where to upload them. Shall I just send you some pics to an email address or to Steve? These should be photos of it. Gowanloch in Australia said they can get fairing made, just takes time. Paid 3000 Aus for it here in NZ. Was that a good buy. Runs sweet as so far, have re-cleaned, oil-changed, and will take it for a good warm in ride tomorrow night. Have a manual coming and a few bits and pieces. Beautiful bike you posted, can only imagine. Think Id have to spend another 10k to get it to there, easy. canterburyman wrote: <snip> Paid 3000 Aus for it here in NZ. Was that a good buy. First time I've got a good deal. Soon as registered will take a spin to CHCH, will call on you and show off. Good buy, looks pretty tidy. If you are chasing replacement decals have a look at my tidy up thread.